LESLIE: I met today's guest, Lynn Cahoon, last fall at Bouchercon in New Orleans, where we shared a panel talking about food in mysteries. 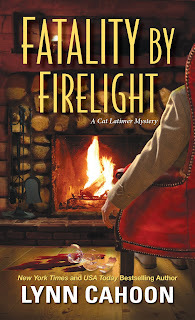 She writes the Tourist Trap mysteries, featuring Jill Gardner and the crew from South Cove, CA, and the brand new Cat Latimer mysteries, set in small town Aspen Hills, Colorado, where Cat runs a B&B and writers' retreats The second Cat Latimer mystery, FATALITY BY FIRELIGHT, comes out on Tuesday! 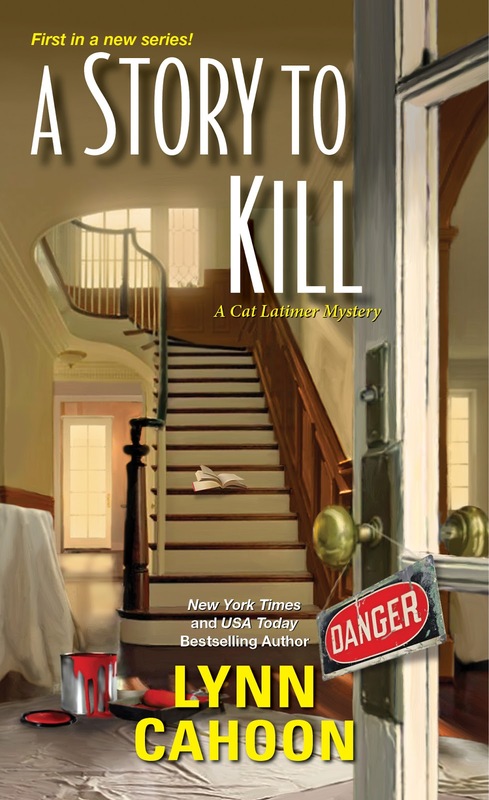 Leave a comment below for a chance to win the first in the series, A STORY TO KILL! LYNN: Muffins. They were the first thing we made in Intro to Home Economics my freshman year. We learned not to stir this batter too much as it loses the air that keeps muffins light and fluffy. Yet, you have to stir them just enough or you’ll get a mouth full of baking powder. It took a lot of practice but I played with muffin recipes after school until I could mix up most anything into a batter. This one I call the kitchen sink recipe. When I started writing my versions of a bed and breakfast mixed with a writer’s retreat in the Cat Latimer mysteries, my enjoyment of different breakfast breads came in handy. I’d love to be Shauna and be able to try out new recipes to wow the guests. Pre-heat oven to 400. Grease 12 muffin tins (or use spray oil). Make a well in the middle of the dry ingredients and pour in the wet ingredients. Mix together, but don’t over mix. Pour into prepared muffin tin and bake for 15-20 minutes. Let cool. Enjoy! Lynn Cahoon is the author of the NYT and USA Today best-selling Tourist Trap cozy mystery series. GUIDEBOOK TO MURDER, book 1 of the series, won the Reader's Crown for Mystery Fiction in 2015. She's also pens the Cat Latimer series. 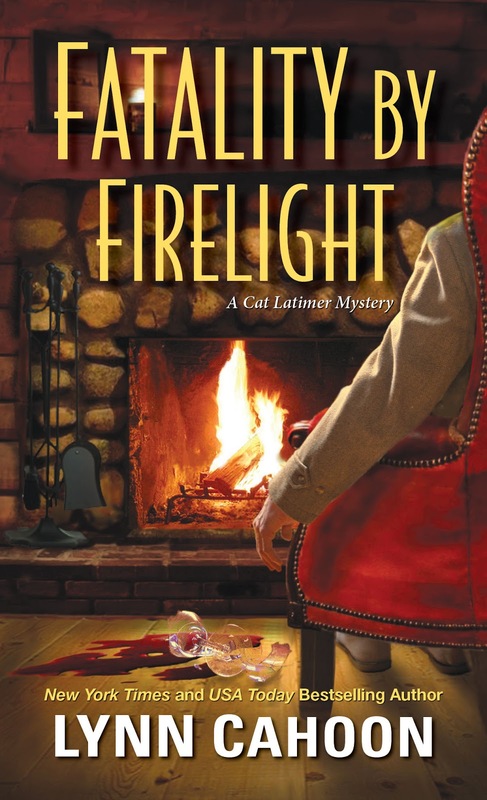 A STORY TO KILL, and FATALITY IN FIRELIGHT are available in mass market paperback. She lives in a small town like the ones she loves to write about with her husband and two fur babies. Sign up for her newsletter at www.lynncahoon.com and find her on Facebook and Goodreads. Ah, so now we know the secret of Kat's muffins! Yummy! Sounds so very good!!!! Yummmo! Reading and baking are my two most favorite things! Hi Amy, In a perfect world, muffins are always on the menu. Yum Muffins...this would be good to me for breakfast.Nothing wrong with chocolate right? The book sounds great too...thank you for the contest. Well I am ready to bake a d be booked in Lynn's contest. Muffins in the morning for me! Thanks for the recipe and a chance to win a fun new book! We don have any if your books in our library, if I win, this will be the first! Welcome, Lynn! We're delighted to have you as our guest today. Now, pass one of those muffins through the screen to me, and all will be well! I love making muffins! They are yummy all day long, for any reason and great to share. Thanks for the recipe! I love your books!!!!! The muffins sound tasty. I took my first home ec class in 7th grade. Somewhere I still have my recipes hanging around. They were always simple but tasty. I would love to win a copy of A STORY TO KILL. Thanks for the chance. Love the recipe. Sounds like great cozy mystery. I love making muffins---must try this recipe. It's a great Sunday brunch recipe!